Professor Eberhart Zrenner MD, Director of the institute for ophthalmic research and the Centre for Ophthalmology and head of the neuro-ophthalmology unit in Tuebingen Germany and chairman of the European Vision Institute, presented his EURETINA lecture which sought to answer the question of whether Can We Overcome the Fragmented European Research Space in Ophthalmology? Dr Zrenner noted that ophthalmologists have reached a defining moment in the history of their discipline not only because there are so many new possibilities for diagnosis and therapy offered by new discoveries in molecular and cell biology, but also because the world’s aging population means that there will be a greater number of people than ever before with sight-threatening diseases. However, he said that the ability of ophthalmology to answer that growing problem is compromised by the fragmentary nature of ophthalmic research in Europe, and by the lack of awareness among healthcare policy makers of the contribution ophthalmic research can make, and of the dire consequences that will likely occur if that field of endeavour is neglected due to lack of funds. He noted that a Carlos Von Bonhurst, a consultant for European Community in Brussels, has said that there is no other field in medicine that is more fragmented in Europe than Ophthalmology. 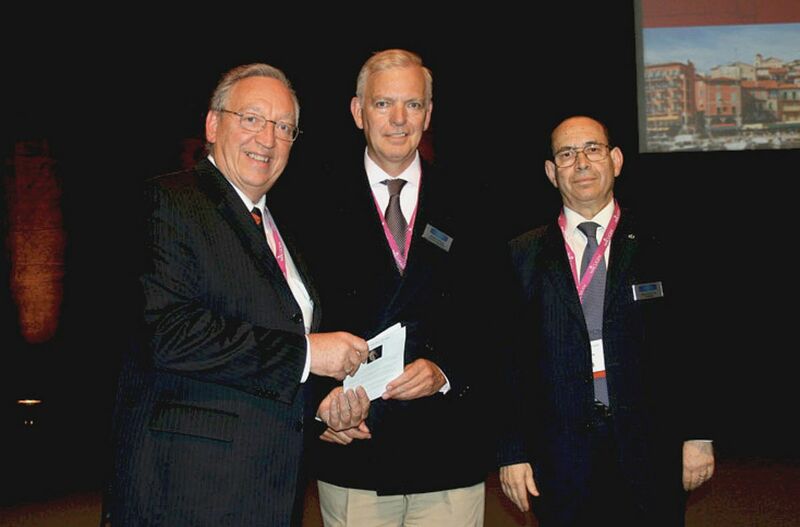 In fact, there are more than 40 national and international ophthalmological associations in Europe. While those organisations are essential for the continuity of clinical research, what is lacking is an organisation to provide a single voice to defend the interests of ophthalmological research before the EU. “The result of this plethora of ophthalmic societies is a low impact of ophthalmology in the making of research policies. We have a low visibility compared with other area, like neuroscience oncology or vascular sciences. There is a lack of structured proposals that will enable us to get enough money to form huge networks working together on European-wide trials,” Dr Zrenner said. Another type of fragmentation that occurs in ophthalmic research is a lack of communication between those engaged in basic science inspired by clinical findings in ophthalmological practice and those engaged in clinical research. “The challenge is really to improve our acceptance of vision research among the scientific community we are not just a little eye which may be a part of the brain we are more and we can make that point only if we speak with a loud voice and in a harmonized focused manner in order to avoid fragmentation. We have to avoid duplication of research with multiple small trials examining identical issues instead of one large trial. We also have to merge the two cultures of basic science on the one hand and clinical science on the other,” Dr Zrenner said. To that end, Dr Zrenner and his associates have founded the European Vision Institute, an organization whose aim is to lobby for research funding for ophthalmology, establish study protocols, and foster collaboration between different research organizations. The fruits of their labour so far include EVI-Genoret and RETNET, projects investigating the genetic factors of retinal disease. More recently they have obtained funding for and have established Eurovisionet which aims to provide a scientific integration of European vision research and have established an online portal to which all engaged in ophthalmic research can contribute. “Yes, we can overcome the fragmented nature of ophthalmic research in Europe if we want to and we get together. Presenting Dr Zrenner with his EURETINA lecture award, EURETINA co-founder and general secretary Gisbert Richard MD (see picture above with EURETINA president Jose Cunha Vaz) noted that the Clare Jung foundation that sponsored the award do so because they are convinced that the greatest success in fighting blindness will be found in the field of retina and optic nerve research.